Handmade Sterling Silver Turquoise Bolo Tie by the late Gibson Nez. Handmade Sterling Silver Turquoise Bolo Tie by the late Gibson Nez. 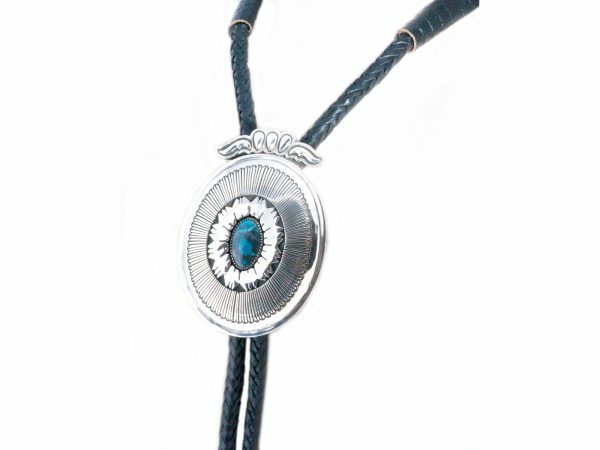 This striking bolo tie features hand stamped sterling silver with a beautiful piece of turquoise set in the center. The bolo slide measures 4″ inches long by 2 3/4″ inches wide. The leather cord measures 44″ inches long with handmade sterling silver tips. 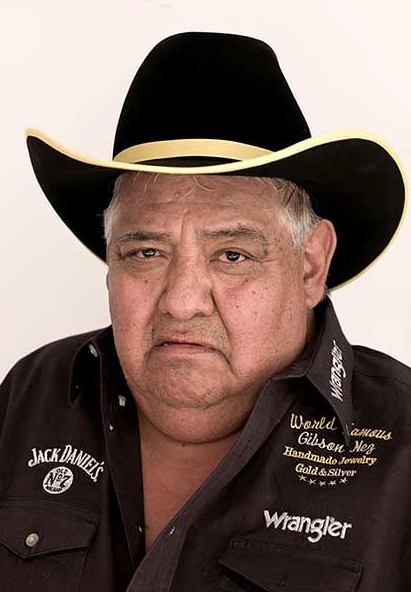 Known by collectors worldwide as the Master of Stampwork, Gibson Nez was a member of the Jicarilla Apache and Navajo Nations. No other craftsman has come close to the expert precision of Nez’s sharp, clean, and impossibly close stamps. Parallel lines encircle bolos and bracelets like radiant energy, drawing your eye to the extraordinary, gem-grade stone Gibson hand-picked to feature in the center. 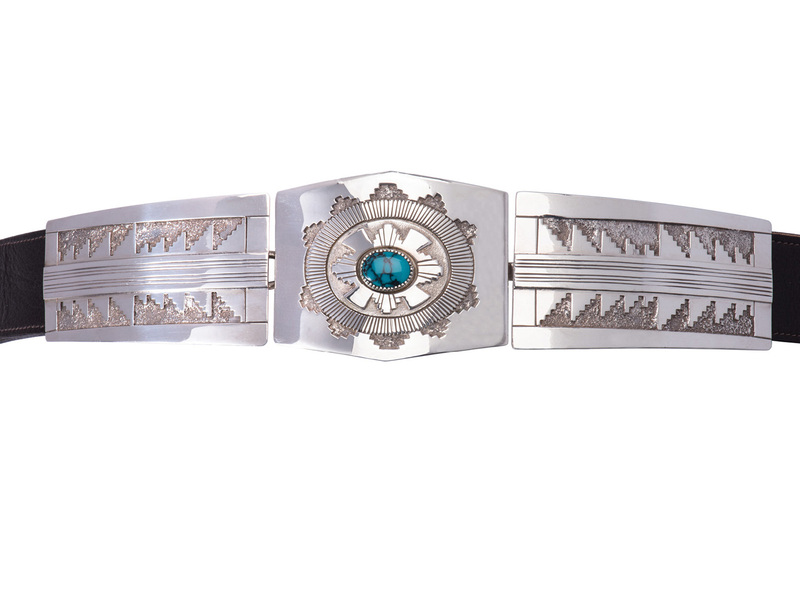 Gibson’s pieces won ribbons and awards at all the major competitions, including Gallup Ceremonial, Santa Fe Indian Market, the Heard Museum, the All Mankind Jewelry Competition in Washington, D.C., and Casa Grande in Arizona. Gibson passed away on December 1, 2007. His work is praised by collectors worldwide and continues to appreciate in value.